Yes, it's called My Independent Bookshop, but what does Penguin Random House's new site do for booksellers? 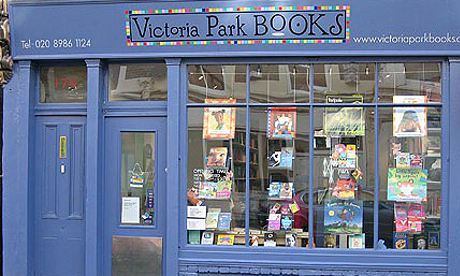 East London's Victoria Park Books isn't on My Independent Bookshop 'and won't be joining anytime soon'. I've just opened my very own bookshop at myindependentbookshop.com, the new book recommendation site from Penguin Random House. I enjoyed choosing the font for my logo (Shakespearean), the type of shelf (Victorian), even the colour of the paint (papyrus). Selecting the titles to display on my virtual shelf was less fun – the search engine is hopeless. I then tried to "connect" with my local independent bookshop, so it could earn a 5% commission from Hive (run by wholesaler Gardners) each time someone bought something from my shop. Except my nearest bookshop, Victoria Park Books, wasn't on there and won't be joining anytime soon. "I was appalled by My Independent Bookshop," its owner, Jo De Guia, tells me. "It's a cynical attempt by a multinational to appear soft and fluffy." She's not a luddite (she tweets and her husband, who helps run the shop, is a computer programmer); her opposition is financial. If existing customers buy online at a discounted price, it will eat into her margins. I was able to connect to my second-nearest bookshop, Broadway Bookshop, because it's already on Hive (it sells a handful of books a week online, each one earning about 40p). Jane Howe, its owner, is not convinced that websites such as My Independent Bookshop are the way forward. She prefers to "focus on what we're good at: in-store, individually tailored recommendations". Other booksellers have embraced My Independent Bookshop (check out myindependentbookshop.co.uk/DulwichBooks); many, like Vivian Archer from Newham Bookshop, believe they've "nothing to lose". But I am left wondering whether there's more in it for the publishers (who have admitted its main value lies in customer data) than the booksellers themselves. Digital isn't the answer to everything. The best way to support your local bookshop will always be by going there and buying books.